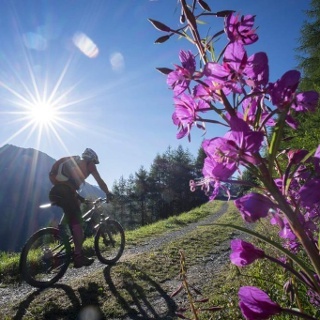 The splendid Stille Seite Enduro Route is a 12 km long loop tour far away from Sölden's mountain lifts and busy hiking trails. The route travels also on the black Jägers Notweg Trail (673) and is suitable only for very skilled and experienced bikers! 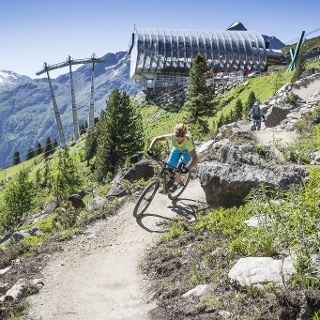 Enduro Route Stille Seite - C starts at Freizeit Arena, traveling right across Sölden along the Ötztaler Ache river to the base station of Gaislachkogl Mountain Gondola. Continue on the road past the campsite, cross the bridge and pedal uphill to the hamlet of Moos. Leaving behind quaint Moosalm you reach the forest road leading also along Route Brunnenbergalm (652). Approx. 1 km before you get to Brunnenbergalm you must keep to the left, leaving Route 652 and following the "Enduro C" signs to the access point of Jägers Notweg Trail (673). 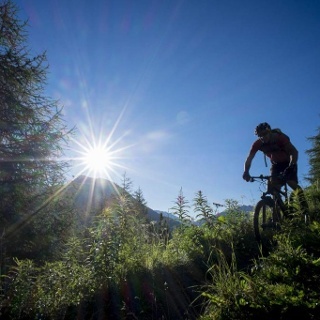 First you take the completely overgrown trail before you reach the single trail – one of the most difficult natural trails of the entire Bike Republic Sölden. 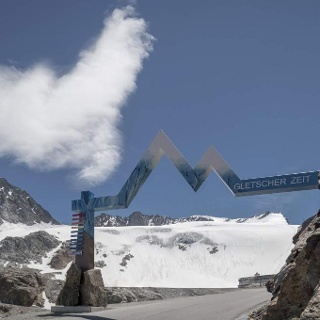 It is rated S3 from start to finish, comprising also a couple of S4 passages: steep hairpin turns, rock-strewn terrain, wet and slippery surface ... a true challenge for experts who can try NOT to touch the ground with their feet! After crossing Windach Ache brooklet a climbing path takes you up to a forest trail and towards the entrance to Windachtal Trail (6000). 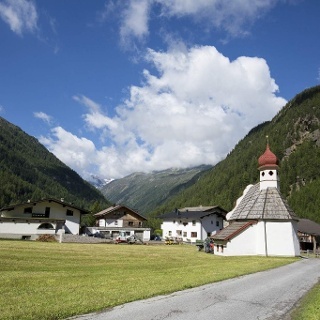 Follow Windach Trail until you get back to the forest road that takes you to the village center of Sölden. 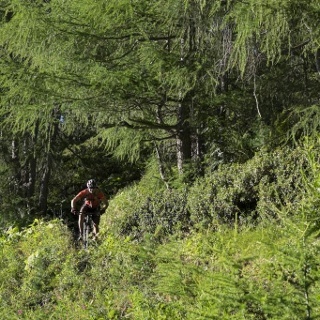 Those who can conquer Jägers Notweg Trail without major difficulties are true experts - it is suitable only for very experienced bikers in an excellent physical shape. Adrenalin rush guaranteed! 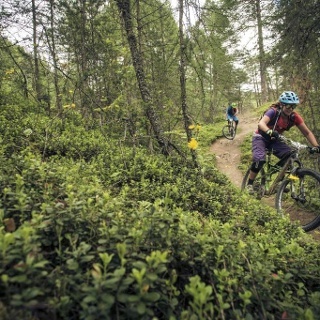 Route Brunnenbergalm (652), Windachtal Trail (6000) and Jägers Notweg Trail (673) are Shared Trails highly frequented by walkers and cars of local residents.